It’s coming time once again for Drag Queen Story Hour! The Fairview-Columbia Library will proudly host Portland’s own *diva* Ms Poison Waters presenting an hour of kid-friendly drag! Poison Waters will read stories with children 2-6 years old, followed by a craft or maybe a dance party! The internationally-famous Wordstock has had a makeover, and has become the Portland Book Festival! The 2018 Portland Book Festival presented by Bank of America will feature 100+ authors presenting on 9 stages, pop-up readings throughout the Portland Art Museum galleries, and 13 writing workshops. The festival includes activities for readers of all ages, an extensive book fair with 80+ vendors, local food trucks, and partner events all weekend long. The festival will also feature LitCrawl Portland. Check out the schedule as it gets updated on Facebook or Twitter. Get your tickets ahead of time – this event often sells out! Drag Queen Story Hour! Bilingual Edition! It’s coming time once again for Drag Queen Story Hour! The Holgate Library will proudly host Portland’s own Meesha Peru presenting an hour of kid-friendly drag! Meesha Peru will read stories with children 2-6 years old. This bilingual storytime will followed by a craft or maybe a dance party! Don’t just read stories, write them too! Poster & Story contest for students throughout Oregon, and in Clark County, Washington. See the link at the bottom for last year’s winners. Each year students throughout Oregon and Clark County Washington are invited to create a poster or write a short story portraying part of the Oregon Humane Society’s mission. Contest is open to all residents of Oregon and Clark County, Washington, entering grades 1st-12th in the fall of 2018. Step 3: Print and complete 2018 Poster and Story Entry Slip and glue or tape to the back of your entry (no paperclips, please). Note to Teachers, please include a class list along with your posters and/or stories. For 9th-12th Grade Digital Art Entries: Click here to upload your digital art. Please be sure to read the poster theme prompt for Grades 9-12 before entering your digital art poster. Contest begins September 1, 2018! Deadline to post mark or drop off posters and/or stories is December 14, 2018. All winners will be notified by January 11, 2019 and will be invited to the A’Cat’Emy Awards. The A’Cat’Emy Awards will be held on Sunday, January 27, 2018 at the Oregon Humane Society. All winners also receive a special award certificate, ribbon of honor and an invitation to the A’Cat’Emy Awards celebration. Enter your students’ posters and/or stories by November 1st to receive a $25 Amazon gift card as a thank you for including the Oregon Humane Society in your classroom curriculum. Contact the OHS Education Office at (503) 416-5034 to learn more. It’s coming time once again for Drag Queen Story Hour! The Belmont Library will proudly host Portland’s own *diva* Ms Poison Waters presenting an hour of kid-friendly drag! Poison Waters will read stories with children 2-6 years old, followed by a craft or maybe a dance party! Drag Queen Story Time at Green Bean Books! Local drag queen Clare Apparently will host a story time at Green Bean Books (1600 NE Alberta Street) on Sunday, August 19, 11:00-11:30 am. 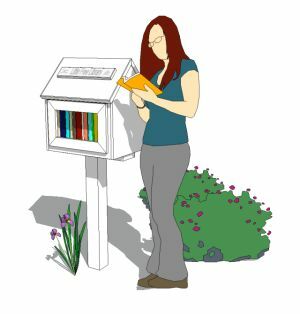 Check out their ongoing events, such as their variety of Story Times (including Baby Story Time and Spanish Story Time), drop-in craft events, and Read to a Dog events, here. copies of any given best-seller because everyone wants to read it when it first comes out, but after that first year or so? probably more like 3 copies will do from there out). Wednesdays are Midweek Markdowns – something is on sale every week. Title Wave has other sales through the year as well. You can find out about upcoming sales on their Facebook page. Their Back-to-School sale is coming right up! Saturday, August 11, 9am-4pm. All materials will be 55% off their regular prices. 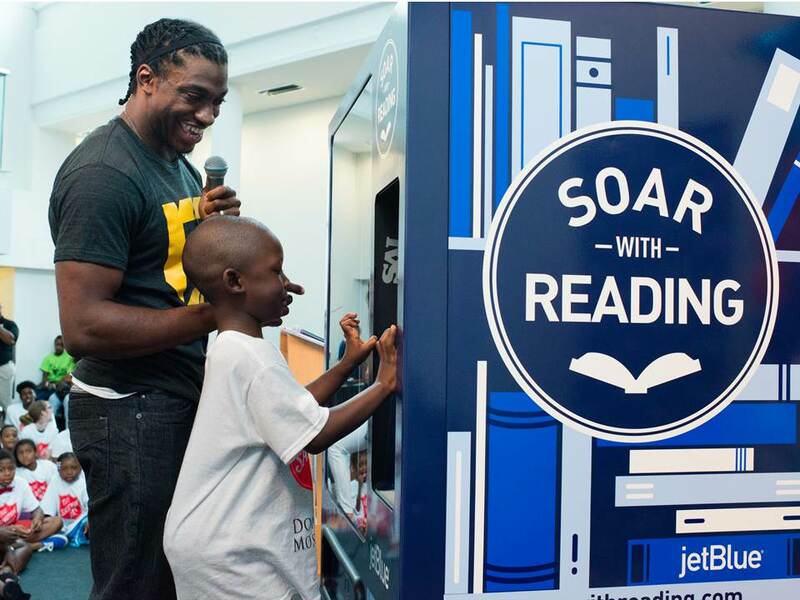 NEW YORK–(BUSINESS WIRE)–JetBlue (Nasdaq: JBLU) today launched its eighth annual Soar with Reading initiative, which provides free books to children who need them most. This summer, Soar with Reading lands in San Francisco and Oakland, Calif. This award-winning literacy initiative tackles the issue of “book deserts,” areas with limited access to age-appropriate books. Since 2011, JetBlue has donated nearly $3 million worth of books to children in areas of need. “Oakland is proud to partner with JetBlue’s Soar with Reading Initiative to bring free books to all our residents and young readers. Children who once had limited access to age-appropriate books now have a free program designed to give them equitable access to books to read, learn, and expand their intellectual horizon,” said Oakland Mayor Libby Schaaf. To celebrate the this year’s Soar with Reading initiative, TV personalities and dancers/choreographers Stephen “tWitch” Boss and Allison Holker, along with author of the “Fun Jungle” series – Stu Gibbs, joined JetBlue, Simon & Schuster Children’s Publishing, and officials from San Francisco and Oakland, Calif. on June 27, 2018 at an event at the San Francisco Public Library Main Branch to reveal the book vending machines. Onsite young residents were able to select their first free books. tWitch, Allison Holker, Stu Gibbs and other Simon & Schuster authors will support the program throughout the summer by encouraging customers and community members to #BookWithUs for another JetBlue city to win $25,000 in children’s books. JetBlue For Good – Soar with Reading is a signature program of JetBlue For Good®, the airline’s platform for social impact and corporate responsibility. As the program continues to grow, JetBlue is working to ensure that the books in the vending machines represent the communities where the machines will be placed. The selection of books in the machines will be changed out every two weeks so kids can come back and grab new books all summer long. Even more info about the Soar With Reading Initiative! Oregon anyway) Come hear stories read by pirates, do a fun craft, and even take your picture with pirates! Watch this page for upcoming events, and join us! Don’t miss the Reading Pirates. Bring the family for Pirate stories, Treasure and fun. Join us for the Summer Free for all. Lunch, stories, surprises. Yarr! be thar or be squarr!